Release Date: April 28, 2018 Pre-Order Today! I chose to review this book based on my fascination of trains. However, what I ended up discovering was so much more. I found a book that went above and beyond my wildest imagine where both photography & trains are concerned. A. Aubrey Bodine's passion for his work and the subject of trains shines through in every photo. The 'Foreword' was very informative. While the 'Introduction' was well written and gave a wonderful look into Bodine's love of his work & photography. I also enjoyed the added information at the end about the individual photos. 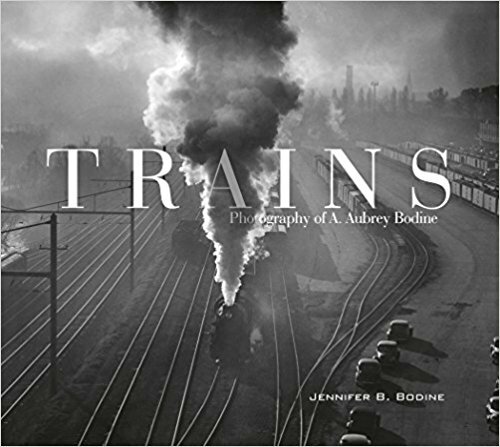 I'm glad that I found this book & would greatly recommend it to anyone who enjoys trains and/or just holds a passion for amazing photography.